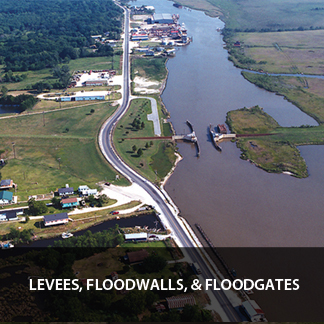 FLOOD PROTECTION & DRAINAGE — Burk-Kleinpeter, Inc. Protecting our communities from the ravages of heavy rainfall, riverine flooding, storm surges, and extreme weather conditions is vital for most states, counties, and municipalities. BKI’s experienced staff of civil, structural, mechanical, and electrical Engineers work hand-in-hand with federal, state, and local clients to identify sustainable and effective solutions to meet the challenges of normal rainfall events and more extreme storm-induced conditions.